Entry Requirements: 5 GCSEs at grade 4/C or above including either Mathematics or English, or a Level 2 equivalent in this area and GCSE Mathematics or English at grade 4/C or above, plus a satisfactory portfolio. This industry-relevant programme is designed to allow you the opportunity to build the skills and knowledge you will need for a successful ongoing career in the world of creative digital media. 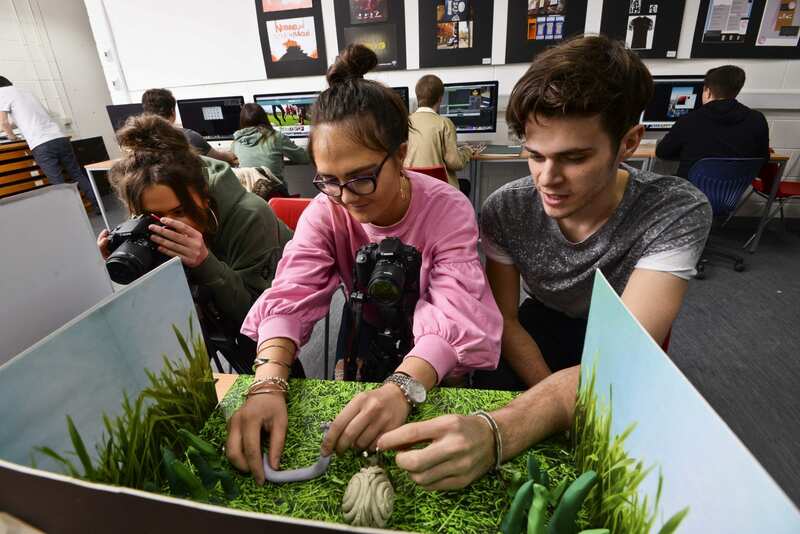 With a focus on developing your practical skills and abilities, the course offers you the chance to learn a broad range of creative digital media skills, including video, graphics and photography. You will have the opportunity to specialise in your second year and tailor your qualification to suit your own strengths and interests through completion of a final major project in your specialist area. Your study programme also includes an opportunity to gain valuable experience through the completion of a subject-specific work placement, which will give you a taste of the world of work in creative media-related industries.